Being an innovative technology can be trying at times. During the American Civil War, one of the early innovative uses of a rotating gun mount, a turret, was a bit disconcerting. 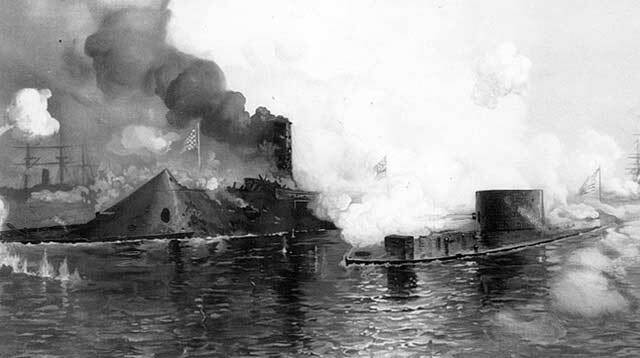 John Ericsson's gunboat, the Monitor, a shallow draft armored ship built to do combat with recently built armored ships of the Confederacy, broke new ground in many ways. One of those new ways was putting big guns in a rotating armored box, reducing the need to navigate the entire ship to bring the guns to bear on the enemy. The turret was an invention whose time had come. Other people involved in the world's navies were coming to the same conclusion as the new use of armor made ships of the line too heavy. The prevailing philosophy was to carry a large contingent of guns to be brought to bear all at once in a broadside, devasting when employed correctly. All those guns and armor on top of that made the early ironclads too heavy and some were lost in storms. The turret enabled fewer guns, and could theoretically be brought into action quicker without turning the whole ship. The first battle involving the new Monitor and the rebel ship Merrimac brought new problems with the turret that would have to be solved. The steam driven turret could bring the guns to bear, but couldn't be stopped quickly, so the guns would sail past the target. The crews adapted to this by firing on the fly, which was a practical solution as the ranges weren't that far. Another problem was seeing what they were shooting at. The only view out the turret was the small hole for the gun barrels, with only inches above the gun barrel to see out. This was a problem only solved years later by optics. Reloading the guns was dangerous also, as the gun ports were exposed to enemy fire when the guns were pulled back into the turret. There were covers for the ports but were too clumsy to use in battle. Eventually, the crews turned the turrets to the side while reloading. In the confusion of battle, both sides suffered damage, but not enough to take them out of the fight. Both sides thought the other to be withdrawing, and the battle ended in a draw. 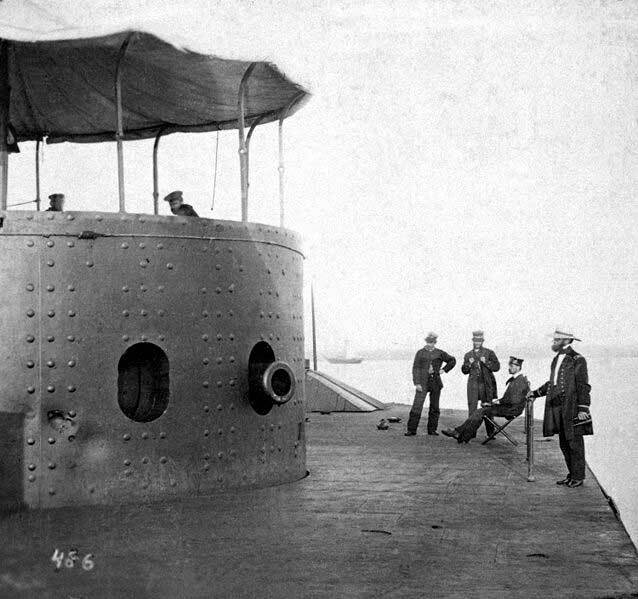 The turret itself would go though many more innovations but it's use would spread far beyond the warship. The new turret was not going away.